Do not worry if you had never bought a playground equipment before. Here are certain things that would help you out in choosing the right play sets for your community or church park. 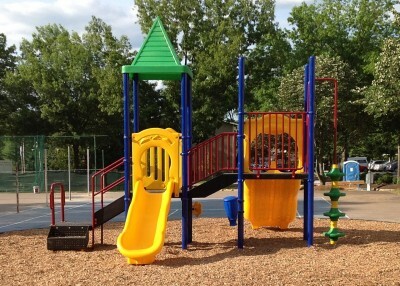 See-Saw, Dome Climber, Swing Sets, Slides, Play House are some of the playground equipment. You can select the one for your community park on the basis of following factors. Material Utilized - Metal, wood and plastic are the materials used to construct these play sets. You must ensure that equipment you are buying is made of durable raw materials so that it can be placed in the park for years on end. It should be sturdy and strong and can withstand the harsh weather conditions. Quality - Do not compromise with the quality. Buy the equipment from International Play Equipment Manufacturers Association (IPEMA) certified manufacturer. Make sure playground equipment is manufactured in accordance with the guidelines defined by Consumer Product Safety Commission (CPSC) and American Society of Testing and Materials (ASTM). Safety - Ensure that the play equipment you opting for is installed with requisite anchors like hinges, bars & railing. Check that no pointy edge is left open in the play set. Remember the size of the location where you going to install the children's playground equipment also plays an important role in the selection process. Start looking for the play sets only after measuring the size of the location. Hence, you would get an idea which play set would perfectly suit the location.